Adorable sporty baby booties by Creative Knitwear. 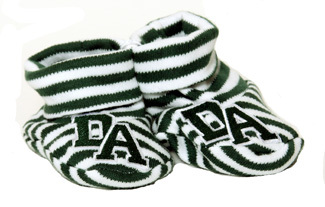 Green and white striped 100% soft Jersey cotton. 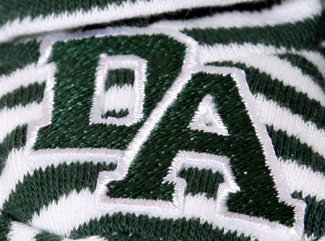 Green and white embroidered DA logo. Newborn size. Pair with Striped Infant Knit Cap!